Reacting to the arrest of former Air Chief Marshal S.P. Tyagi in the AugustaWestaland deal, senior advocate Prashant Bhushan on 10 December said the Central Bureau of Investigation (CBI), is acting at the behest of the Centre and wants to divert attention from the demonetisation "fiasco." "All the facts relating to Air Chief Marshal Tyagi are known for more than two years, yet he was not arrested till now. Now, suddenly he has been arrested since this whole fiasco of demonetisation," Bhushan told ANI. Bhushan further said had the CBI and the Centre been serious about weeding out corruption, then, they should have launched an inquiry into the defence deals done by the Chhattisgarh and Jharkhand governments who have agreements with AugustaWestaland. "If they are serious about (tackling) corruption, why have they not taken action in similar Augusta Westaland purchases by the Chhattisgarh, Jharkhand and Rajasthan governments," he asked. Asserting that defence deals in India are notorious for corruption and over-pricing, Bhushan said, "Even now, in this Rafale deal, the price of the aircraft was increased more than double where the contract of Rs. 58000 crore was given to Rafale and half of that has been given to Anil Ambani's company which has no experience in defence production." 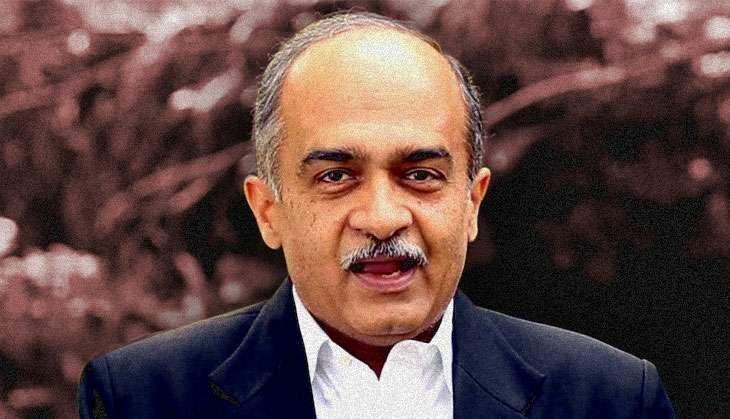 Bhushan further alleged that the interim CBI director is acting on behest of the Centre who is a handpicked man of Bharatiya Janata Party (BJP) chief Amit Shah. The CBI on 9 December arrested Tyagi in connection with the AgustaWestland scam, - considered as one of the biggest defence scams after Bofors. Gautam Khaitan, a Delhi-based lawyer, and Sanjeev Tyagi, alias, Julie Tyagi, were also arrested by the CBI in this connection. The trio was arrested on the charges of accepting illegal gratification for exercising influence through corrupt and illegal means during the deal.